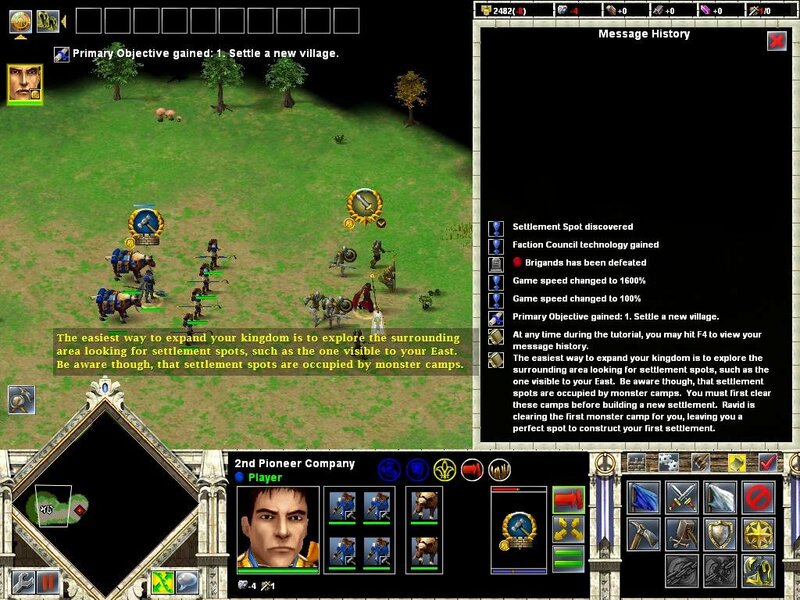 In 2001, TimeGate Studios released Kohan: Immortal Sovereigns to a landslide of critical acclaim—praise so overwhelmingly universal that it was almost suspicious. 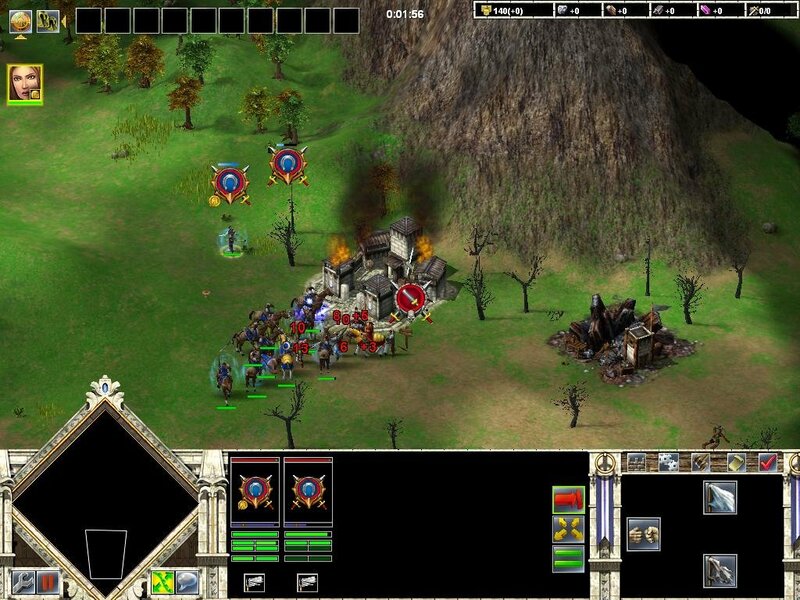 A real-time strategy game that actually emphasized deeper tactics over cookie-cutter building formulae and early round rushes. 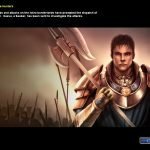 Three years later, TimeGate is back at it again with Kohan II: Kings of War, featuring a new 3D engine, a streamlined presentation, and based on play with an early version of the game, a whole lot of what made the original Kohan so appealing. 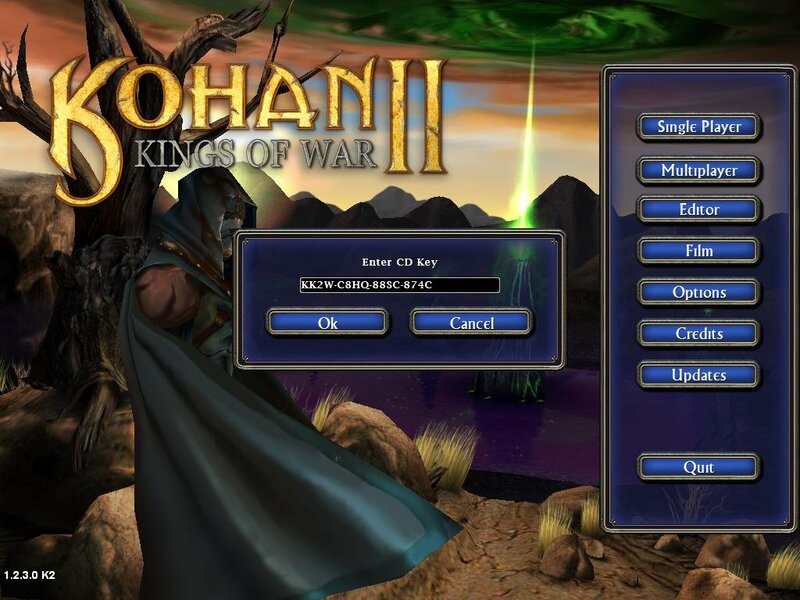 For those who missed the original, the story of Kohan revolves around the Kohan themselves, a group of powerful immortals who ruled the world long ago until one of those pesky cataclysms put them all down for the count. In Immortal Sovereigns, you took on the role of Darius, a good guy Kohan who awakens to find the world in disarray. Turns out he’s not the only Kohan to awaken, and that not all of them are nice guys like him. A whole lot of fighting later, our heroes are victorious and the world is a safer place to live in. But nothing lasts forever, and Kings of War finds the tentative alliances that helped push back the Shadow starting to break down. The world finds itself once again on the brink of war, a new evil on the rise, and the Kohan naturally in the thick of it. Getting down and dirty with this new version of Kohan, the first obvious change is in the graphics. The move from 2D to 3D is dramatic, and it’s good. 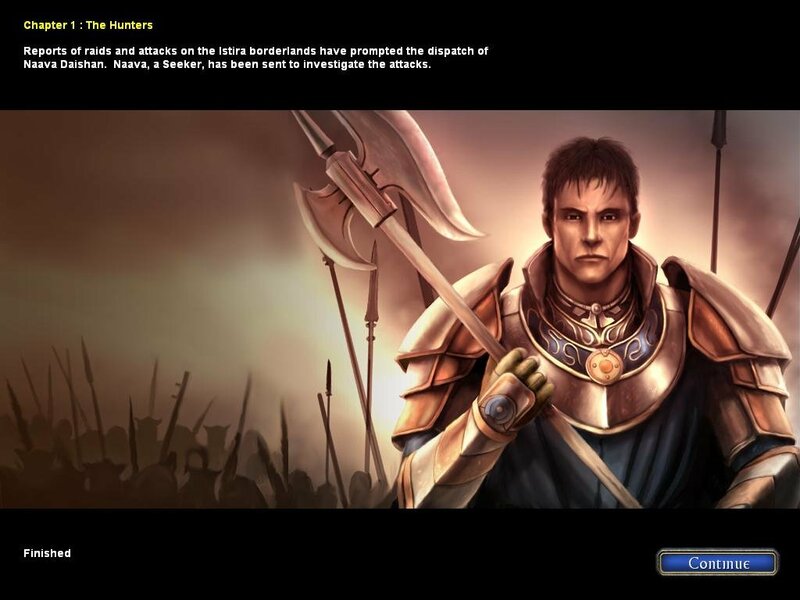 Individual units have a tremendous amount of detail and an impressive range of animations. In battle, different attacks are actually represented by different animations, so that big power swing isn’t just for show, it’s getting the job done. 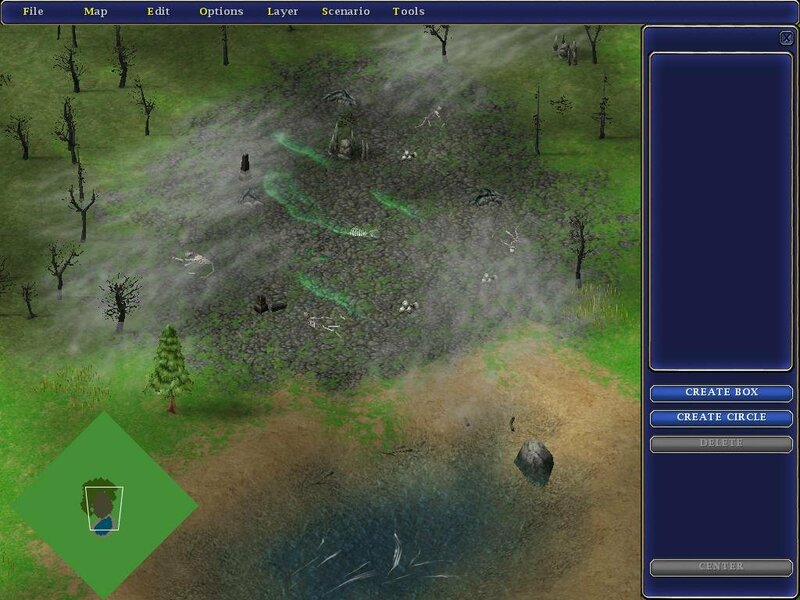 Spell effects have gotten a major upgrade as well—auras surrounding affected units scale with the power of the spell, and you can just feel the devastation of lightning bolts and meteor showers as they flatten troops in their path. One of the complaints about the original Kohan was how bland and featureless the terrain was. TimeGate took those criticisms to heart and have added little touches that grant the landscape a lot more personality. Not something you’re likely to notice in the heat of battle, but the overall effect is a welcome improvement. 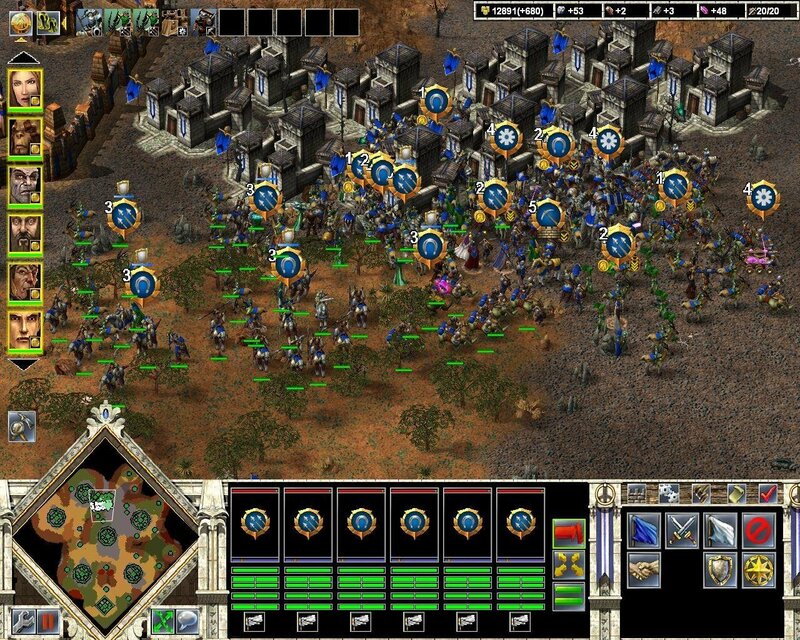 Speaking of battle, strategic warfare is where Kohan’s bread is buttered, and the good news is that the core of the game has remained largely unchanged. 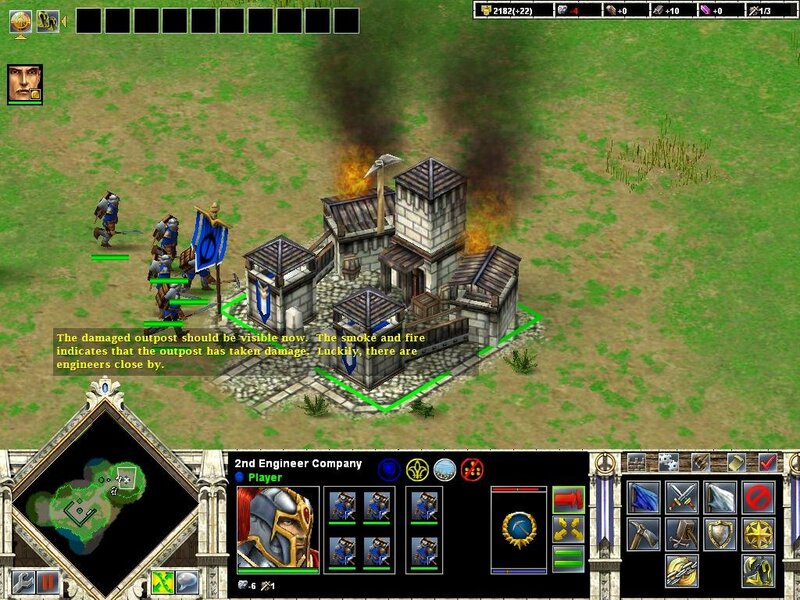 You still control companies of troops rather than the horde of individual units common to other RTS games. Companies are a little bigger this time around, featuring two new flanking positions to compliment the four frontline and two supporting slots, which gives even smaller battles larger drama. 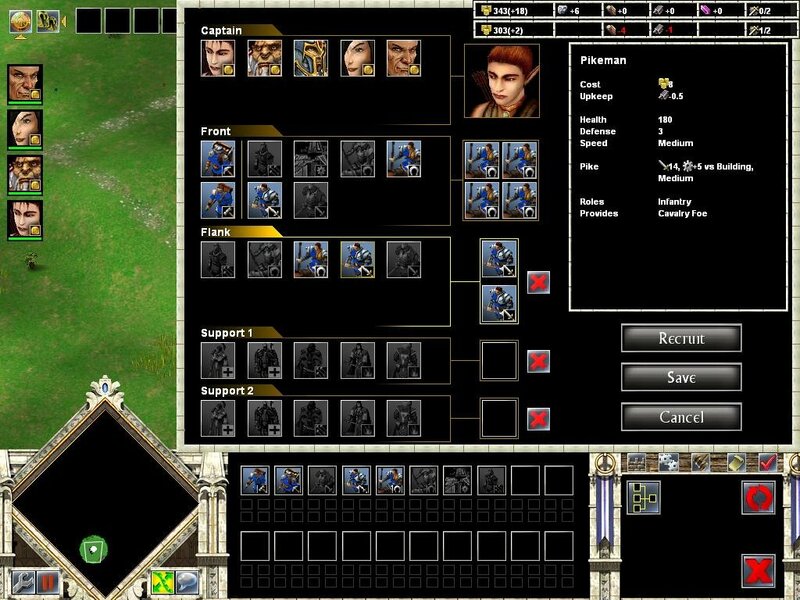 Kohan can still be attached and detached from companies with ease, with the default commanders ready to step in if needed. Six races are playable this time around, complete with edges and flaws. Undead units, for example, possess the ability to regenerate outside of their zones of supply to make up for their relative weakness compared to other race’s units. Cities have gotten a major upgrade in the form of walls that keep would-be attackers at arm’s length until they can batter them down, making settlements significantly harder to capture. 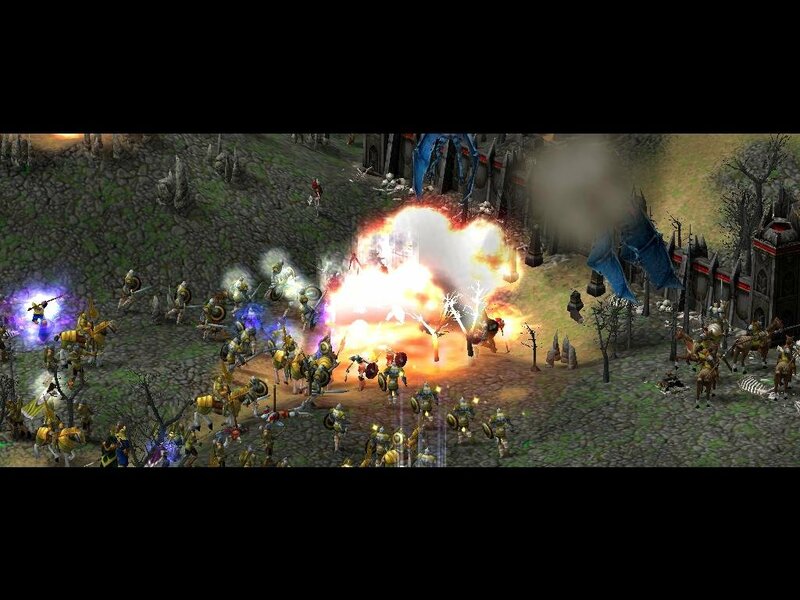 Ranged militia come out to plink away at attackers with their bows, supported by melee fighting militia when the walls are breached. To support this new siege dynamic, each of Kohan’s races has its own lumbering siege unit—slow, powerful, one-unit companies, such as the undead bone golems or the humans’ catapult—which can really lay the smackdown on anything foolish enough to get in its way. 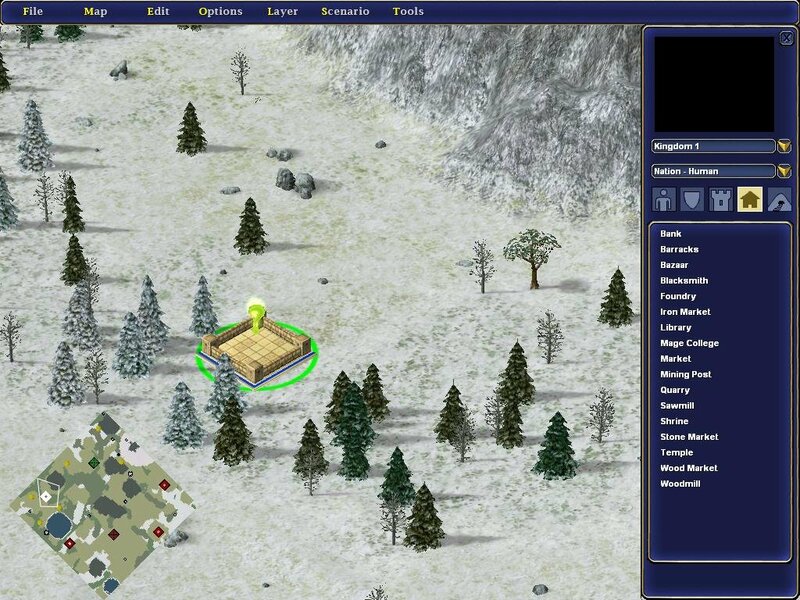 Moving in the direction of some other RTS games, new cities can only be settled at predefined spots. 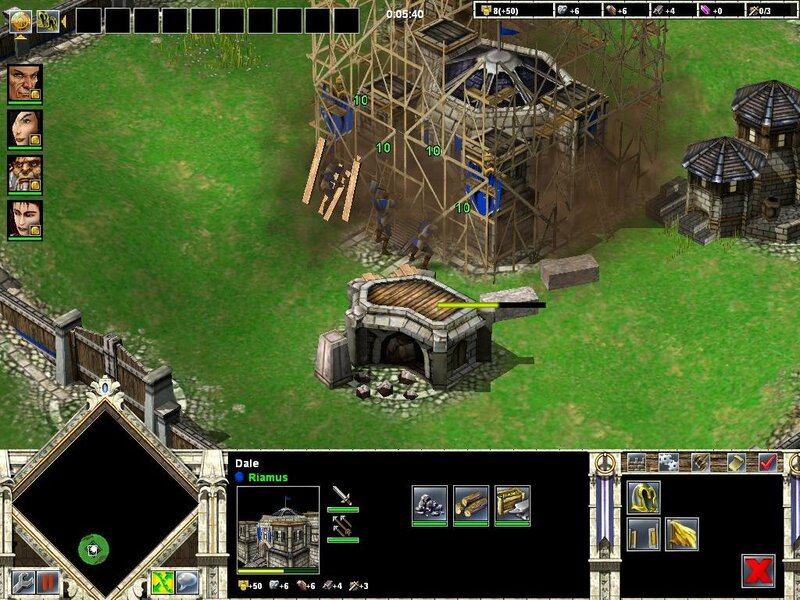 Cities are still upgraded by building structures, like blacksmiths and libraries, which grant resource bonuses and allow construction of advanced units. New to Kings of War, structures are now built outside of the city, inside the walls, allowing other players a peek at what you’ve got going on, as well as a chance to burn it down without having to capture the city. Damage to cities, structures, and the walls themselves is repaired automatically by workers stationed within, as soon as the siege is over, though engineering companies are still needed to build outposts and mines, or repair any tech lairs you may have captured. 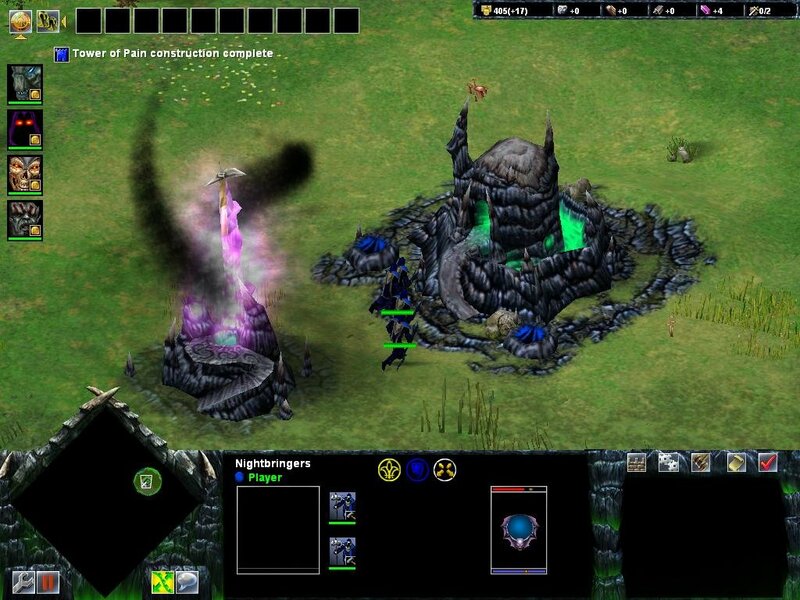 These tech lairs represent a new wrinkle to gameplay, providing secondary targets to be fought over for the technology bonuses they grant, some of which, like the ability to produce powerful support units such as the archmage, are very significant. All in all, Kohan still plays like Kohan, which has to be considered good news. Those who swooned over the depth of strategic goodness provided by the original should look forward to much of the same in Kings of War. Die-hards will wonder where some of the familiar features went, like zones of control which aren’t visible anymore. 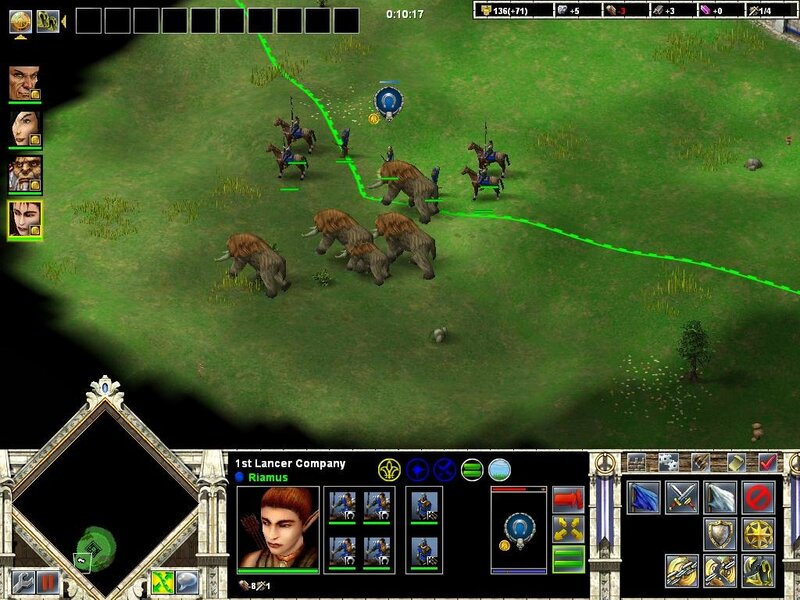 These quips aside, it’s still a quality strategy game.